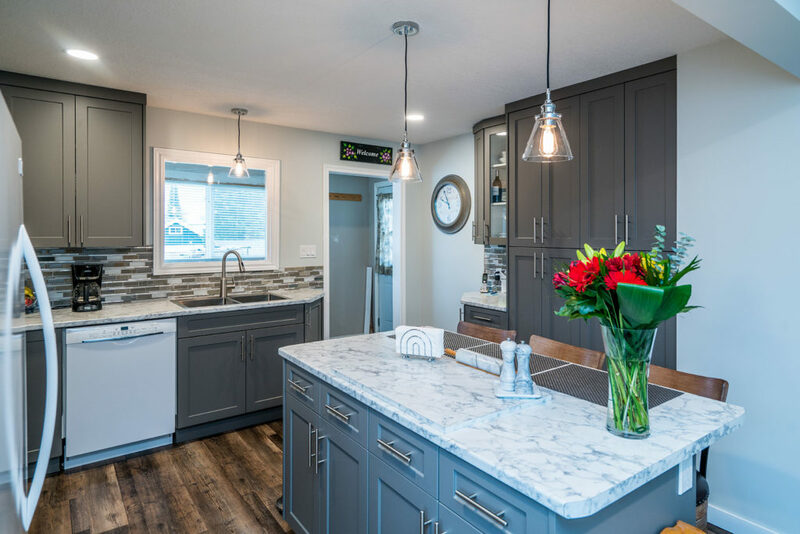 There are three main products that make up a kitchen or bathroom vanity: the cabinets, the countertops, and the accessories. Our cabinets are available in several species of wood, in a variety of styles. Our countertops are made in-house from engineered quartz or granite in a wide variety of colours. Our accessories are custom ordered and built in to your cabinets to provide the organization and convenience you desire. 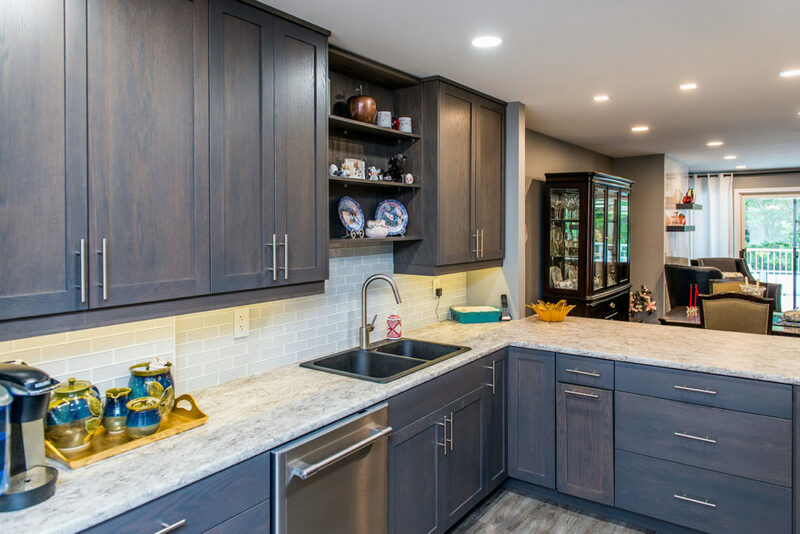 Since 1981, Vanway Kitchen + Bath has designed, built, and installed wood cabinets of exceptional quality. 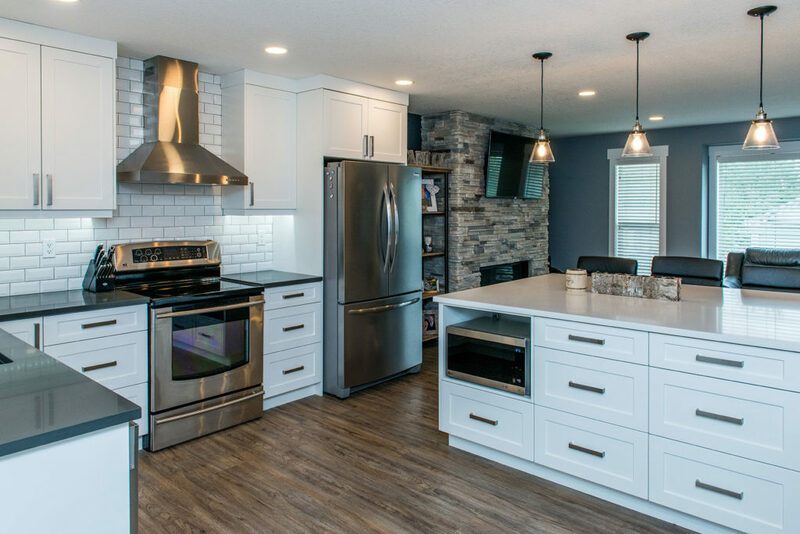 From the solid plywood boxes to the carefully finished doors, you can rely on our experienced kitchen designers to turn your dream into reality. New! Vanway Kitchen + Bath now produces gorgeous stone countertops in-house. We offer engineered quartz and granite countertops in a wide range of both classic and popular colours. Each countertop can be customized with the edges and corners you prefer. A well-organized kitchen or functional bathroom vanity requires more than just a cabinet and a countertop. The accessories that go inside your cupboards and drawers can go a long way to helping you work efficiently. Visit our showroom and browse our accessory catalogues or bring us a picture of what you’ve seen on Pinterest.